Bill.com, a leading digital business payments company, helps automate your accounts payable (AP) process and saves you up to 75% of the time typically spent. Automate the way you pay bills, send invoices, and get paid. Sign up for a risk-free trial. "We use Bill.com to solve our payment needs"
"Bill.com reduces the time it takes to pay bills and invoice customers"
My favorite things about Bill.com are being able to pay bills simply by selecting the bills I want to pay and clicking a "Pay" button. I don't have to cut checks or process wire transfers myself. Additionally, Bill.com pulls the money all in one lump sum, so I don't have to wait for outstanding checks to clear the bank. On the receivables side, I love being able to create a recurring invoice that can be automatically e-mailed out to the customer by Bill.com. My accounting software cannot do that. My least favorite parts of Bill.com are trying to solve the sync errors that often pop up after the nightly sync with Intaact. Additionally, there are some limits on what vendors can see even if they also have a Bill.com account, so I have to e-mail things like commission statements outside of Bill.com. Bill.com provides a great approval trail on bills, particularly for those companies that are audited. We can even give the auditors access to Bill.com to so they have easy access to view any bills they would like to see as part of the audit. Additionally, we have started using Bill.com to make international payments with fees much lower than what the bank would charge. What AP Automation solution do you use? "The Best Payables System "
When it comes to online programs like Bill.com customer service plays a big part, especially during the start. From personal experience Bill.com has great customer support. They are knowledgeable and seek to resolve any questions I have in an orderly and timely fashion. Once you get started with the program it is so easy to use and saves time and money for our company. I really can't think of any dislikes with Bill.com. Give it a try I'm sure you will like it! We are able to process and pay our invoices using Bill.com. I can process and my supervisor can approve the invoices for payment even if we aren't in the same location - a real plus for us and the main reason we opened an account with Bill.com. A couple of our vendors are paid via ACH so they like that option. "G2 Crowd is the best"
It keeps a historical record of all my bills and pays them very easily. I also like that I don't have to take 30 minutes to write out checks and stuff them in envelopes. It makes life much more simple. Makes accounting simpler. Not much. I one time created another account with a similar name, so a payer got confused, as did I. But that's more my bad. Sometimes uploading a bill can take a while. Happy to recommend to others to consider using Bill.com. We need more automation and ease of use. It's nice that once you're in the Bill.com database, a company can simply look you up. I'm solving the problem of efficiency and invoicing. It's so much easier to get paid with Bill.com. I do appreciate how once I'm in the database, a company can simply look me up. I really like that Bill.com scans bills and fills out most of the information for you. I also like the fact that you can schedule your payments, so you don't have to worry about remembering to pay a certain vendor on time. By using Bill.com we've reduced the time it takes to enter and pay bills by 3 days. We use Bill.com with QuickBooks Desktop and the integration works great. The only thing we would like to see added is the ability to chose the warehouse the product has been shipped to for our manufacturing invoices. As I already mentioned, by using Bill.com we've reduced the time it takes to enter and pay bills by 3 days. This freed time for other, more important, analytical tasks that we didn't have the time to get to before. "A great centralized bill pay system"
It keeps a historical record of all my bills and pays them very easily. I also like that I don't have to take 30 minutes to write out checks and stuff them in envelopes. It makes life much more simple. It also dumps all the info straight into our accounting system so there is no need to do double entry to create the checks, then go and record checks. It just sends all the info straight over. Nothing. I do a bit of manual entry, but I could pay more for that, but I would rather spend an extra 5 minutes than pay for the auto entry. Sometimes uploading a bill can take a while. There is no need to keep a big drawer of bills anymore. Just scan and go. Throw away the paper copies. I really like that when I go to pay a bill I'm not sitting down to write out a check, I just attribute the amount to a GL, and click approve. Centralized digital historical secure bill pay. I think that's the most succinctly I could put it. I'm very happy to get rid of paper. I also find it to be extremely fast and makes paying bills more enjoyable, rather than a loathsome chore. Bill.com gives you a great customer facing front end. Customers can view their invoices online and update payment methods with ease. The dunning letter capability makes our life much easier than having to email individually out to late paying customers. If you spend all of your time in Bill.com, it's probably a great product. However, everything breaks down when you use any of their integrations. Both the Quickbooks Desktop and the merchant account interfaces to Vantage/Paytrace have so many bugs. Their tech support is good about helping you out with any challenge, but the bugs never seem to get fixed no matter how many time you point them out the them. Consider your options if you expect the Quickbooks sync to work well or if your merchant account syncs well with Quickbooks already. Our previous merchant account had a great interface with Quickbooks Desktop (to be honest, it worked much better than Bill.com's). However, there was no customer facing front end. "Great tool for employee reimbursement quickly"
The site is very user-friendly layout with easy menus and quick visuals. Adding my bank account information was quick and painless with the help of customer service (my server timed out and they walked me through the steps to add the information again). There are a few ways to search what you are looking for which makes harder to find information easier to find. The quick turn around time the ability to quickly access the current open and unpaid expenses easily, which makes it a winner for me. The first time I used it I was confused if I had submitted the required information because it showed that my payment was pending/overdue. As the person being reimbursed, I didn't know why the payment was overdue and if there was an issue. Turns out I needed to wait until my supervisor approved the transaction. The more people you have using a service like Bill.com the easier it is when the user interface is simple. Less confusion and questions which ultimately slow people down. When you work with people in various age groups and computer skills, a simple interface truly makes a difference. Previously I had to wait two weeks for a check to clear and be mailed when making purchases. This makes the entire process painless and fast. I can also look at the information quickly and see if anything is missing whereas before I would have to go through emails or paystubs. "Quick and Easy way to take care of your Payables!" I like the platform to be able to handle accounts payable and receivables in one location on the web. It makes it easy to have one portal to manage the receiving of payments and the sending out of invoicing.It also integrates with QuickBooks Online and Xero. Quickbooks integration is discounted for users. The site is a bit cumbersome. It could use a facelift in design and usability. Some of the navigation is hidden in sub-tiers of navigation making you have to click thru to get to the area you are in need of reaching. Pricing seems a bit high for this platform compared to others. Make sure your users are set up correctly to be able to pay bills. As an admin, all the functionality is there but having additional users you must set their permissions to be able to actually pay the bill. Check and compare the pricing plans to make sure you are not selecting an overpriced plan where you may not use all the features. Managing accounts receivable and accounts payables on one platform that lets you pay bills like a banking systems' bill pay. Cost effective way for a small business to offer advanced services to clients with electronic invoicing, ACH payments and a free online account for clients to make it simple for them to manage. No more checks to cash! Revenue comes in faster. Bill.com is just a sleek system that makes it appear we have a bigger team or "fancy" systems when in fact it's a one person job that gets done on the road, in a park or wherever I'm at when it's time to send invoices. Love the mobility and ease of use. Integrates perfectly with QB and frees me from additional dependence on QB add-on services. Also integrates with Tax1099.com which was a very easy and inexpensive way to handle the 1099 tax filing. Bill.com is a workhorse for small businesses! The new platform had too many kinks so I stayed on the old platform. Invoice formats were not copying over correctly and some critical customer details were not transferred to the new profiles. Faster payments from clients. Easy tracking of AR and AP. Easy to send payment reminders. Electronic invoicing and ACH payments without having to pay for the extra features in QB. Less time spent on AR and AP. Truly a game changer for a small business. We use Bill.com for a number of our clients to automate customer and vendor billing. Sync works well with desktop and online versions of QuickBooks. It was fairly simple to set up to allow customers to pay using their credit cards, and the rates are competitive despite being limited to one preferred credit card processor. Customer service is chat based, but very responsive and knowledgeable. They are willing and able to help on a variety of issues, from account setup to troubleshooting sync issues. There are a number of idiosyncrasies with sync that can take getting used to. QuickBooks for Desktop, for example, cannot sync credits created on the Bill.com side of things. Likely a software limitation, as the problem is specific to QB for Desktop. There are a number of features lacking that could greatly improve the product, such as the ability to set autoreminder rules at the customer level, rather than just at the global level. One client invoices 200-300 customers monthly, and Bill.com, through its automation, has allowed us to streamline this process so that it only takes a few hours instead of a number of days. i like that all the chat history stay in the Message Center. However, i don't like that i have to log into Bill.com and go to Message Center to check the latest message that i received from Bill.com support staff. It would be more more convenient if i can see the incoming message when i receive the email notification. By using Bill.com, the clients do not need to maintain paper checks. Payers can pay the bills while he/she is on business trip avoiding delay in paying bills. "How Bill.com has any good reviews is a mystery"
ZERO customer service. They have been unable to verify my account for over 2 weeks which makes ZERO sense. My main client can't pay me the very large sum of money they owe because Bill.com can't verify my bank. Then there is no option to call them. They claim chat is availabale during business hours but I am trying to chat with them now and the option is not available. Their email support takes days with no resolutions. It's truly embarrassing how bad it is and yet they still have so much traction with small businesses. Look at Paypal or Zelle or just use your accounting software for invoicing. Frankly at the rate Bill.com works - paper checks are faster and more efficient. I am switching to Zelle or Paypal or ANY other system for payment. If it worked and Customer Service could resolve issues, then in theory, this would be great. I have zero issues with Paypal or Zelle - both of which are free. Bill.com tries to charge me for adding my clients. This is absurd. There should be no fee to receive funds. Only if you a syncing to accounting software and using it as your primary Billing service. The best things Bill.com has going for it is 1. online chat support is always quick and very helpful 2. AP Processing. When I am confused or do not have time to research I use chat for assistance. For AP processing it is easy to forward invoices directly to your inbox. For invoices that do not need to be synced you can have them auto processed- the accuracy is sufficient. The system gets confused when you have inactive or multiple vendors but it is easy to click the right one and then the remaining details auto-populate. The biggest dislike is sync errors. We use Bill.com in succession with Xero and that sync errors occur weekly if not daily. Also there is a software error where even if you resolve the issue you typically have to ask support to clear the errors otherwise you will continue to get a yield sign in the corner. It is easy to send invoices to customers and you can also accept credit card payments with this software. However, for the actually processing we use Paytrace which has small fees attached. It definitely saves time and manages files more efficiently that storing invoices in file boxes. Some functions are not user intuitive. If a vendor sends multiple invoices, you need to go in and out of the document each time to save a new invoice. Auto-coding is not perfect. Emails and photos in emails upload into the bill pay system. Word documents do not. I only used their service to pay our company office lease for a few months. Nothing really special. Support and the way they treat their customers. First of all, it's super hard to contact their support I submitted 3 tickets and it took 3 days to finally get someone to respond. We are leasing the office space from the company that was using Bill.com to accept payments for their bills, therefore we were forced to use bill.com to pay our monthly office rent. Everything was ok... Then the company we paid for the rent switched to using Xero since it doesn't really make sent to pay ridiculous amounts for bill.com. Anyway... for us, it was even better because now we didn't need to pay bill.com subscription fees to just pay for the rent (simple ACH). So we went ahead and canceled our subscription with bill.com in August. A few months later (in October) I noticed that they were still charging our credit card and as I mentioned above it took 3 days to get someone to finally respond to our support tickets. They had someone to call me and tried to explain that they didn't see my first request to cancel and if I didn't use their service since August it was my problem and that evidence that I didn't even log in to their service for 3 months is not enough for them to refund. So my advice to you, if you ever thought to use bill.com for your business, please stay away. There are tons of great innovative companies on planet Earth who would love to do a business with you and will value you as a customer! Stay away, awful support and they totally don't value your business as a customer! "Bill.com is very easy and fast to use!" Getting paid by clients. it is an easy way for clients to send money via an ACH transaction. You know the payments are in the works, you receive an email from them and in a day or two, it is in your account. "Makes your life 100% easier"
Bill.com is such an awesome tool. I have been using bill.com for a few years now and it has saved so much time for me. I love that I no longer need to hand write checks any more. I can pay any vendor with ease. It is super easy to add invoices and get them set up to be paid. Bill.com is great for any business because it helps eliminate any check fraud or stolen money from your company plus it sets up controls of payments. Invoices added to bill.com have to be approved by someone with the authority to approve them which is a great control to have in place for any business. The pricing for bill.com is a set fee, then it is so much per bill paid which can get expensive. Save tons of time, no longer need to write checks. Eliminate the need to buy paper checks. Payments have to be approved by management. Can set up payments anywhere in the world. Vendors can email the invoices directly to Bill.com so they can easily be added to be paid. Centralized place to store all A/P related documents. Easy for research and makes audit documentation a breeze. Syncs seamlessly with our accounting software so we don't have to double enter bills. We have been happy with Bill.com for 5 years but recently they rolled out a "new" Bill.com. We had so many issues with the new program we asked to be switched back to the old version. Hopefully they will work out the problems with the "new" Bill.com before they make it the primary user interface. Allows an easy flow of A/P from entering, approving, and paying. Each user can be assigned roles relevant to their position. Now staff can approve bills for payment even when they're out of the office. "The modern and convenient way to handle accounts payable. " Bill.com makes it easy for a small business to have checks and balances within their AP systems even with minimal staff. Additionally all of the payment information syncs quickly back to QBO, no duplicate entries are needed. It's sometimes a little tricky to get new vendors set up and able to accept ACH payments, which are less expensive than check payments. If you would like to handle all of your accounts payable via a cloud based & paperless system, please consider Bill.com. As an outsourced bookkeeper, I needed a reliable method to handle client accountants payable without frequent trips to the office to cut checks. Bill.com has saved time and money for my business. Bill.com's clearing account in the chart of accounts makes it easy to track bills paid via bill.com so it's always reconciled. Bill.com does not make it super easy to move around individual pages of documents/invoices. If self-employed, might be easier to use bill pay within QuickBooks Online because bill.com has actually created the software partnership with QuickBooks Online. If you don't need layers of approval, can save money by using bill pay with QBO. Construction managers are able to keep abreast of their subcontractors payments themselves by viewing the expected arrival date of checks or ACH payments. Previously they never had access to viewing that information as they had to obtain it from a bookkeeper, now the construction manager can provide insight to his subs confidently and ensure they get paid on time, if not faster. "The cloud Way to transact." Fast way to make and receive payments, kept me updated through reminders on pending bills to pay which made me avoid penalties for late payments, easy to create invoices fast and send them to clients even when on holiday all you do is log in to your account from anywhere and do your tasks in a couple of minutes. Allows one accountant to handle various outlets and branches which is cheap for the business. As a business you receive payments from credit cards even paypal. It also works well with other accounting software you don't need to dumb them. I love everything about it nothing to complain yet, when I do I will update my post. Bill.com is the fun way to transact pay bills and receive payments all in one place. You should get it. Simple to use yet powerful tool for business. I appreciate being able to see all invoices for a vendor captured as a PDF with the payment information. I can easily see past vendor invoices, payments, and check images. The tool also shows the cash flow projection for upcoming days. It does not integrate with our ERP system. Editing payments that have been approved but not yet released could be more intuitive. Bill.com used to allow reports to be saved as PDFs as well as download options, but no longer allows PDFs. Try it as a trial subscription as a test. Streamlined the input, approval and payment of our invoices. Allows multiple people to review a bill to be paid. When a person approves a bill, the next person in the process receives an e-mail as well as it being in their Bill.com dashboard. Easy to research vendor questions with this tool. "Easy to use interface for invoicing and approvals"
As a user of Bill.com - the most common activity I'm engaged in is approving invoices that are linked to my department. Whenever an invoice comes in via email to our accounts payable department, they upload it, send it, and I get to review and approve them all at the same time. One of the more useful features is the ability to tag and comment on certain invoices to make sure we're not losing communication over email. I can't really say I dislike too much of the product. I don't use it far beyond approving invoices that come in but it seems like that's the majority of peoples' experience after speaking with several people in my company. It is a fairly straightforward website. On the first visit, you can easily begin using it. A few things might need a little explanation, but their support articles handle this nicely. I've been using Bill.com for 4 or 5 years now. I've only needed to use their chat support 3 times (2 of them concerning a few oddities w/a client accounting software change). Their chat support is WONDERFUL!!!! The listing of vendors is a little clunky. You look at the alphabet, click on a letter and then scroll through to reach the vendor. I'm not sure why all the vendors just can't be available in a list. When you are posting bills for payment, the ability to scroll through the account listing is basically non existent. It is definitely worth looking @ and considering before making a final decision on any bill pay product. No, checks to write, no envelopes, no stamps. I really like the ability to pay vendors w/electronic transfers (payments simply do not get lost). I wish more vendors weren't so afraid of it. The Bill.com feature of e-mailing when a check has not been cashed over 20 days, is superb! Notifying a vendor about a possible lost payment before they recognize it, makes the client (and me) look good. "Bill.com Extend QBO or Xero to Larger Busineees"
bill.com allows a business to extend and expand it's capabilities for A/R and A/P management to include ACH for both. The sync with QBOnline, Xero and Intacct work very well. The ability to customize the software for the needs of the business is very flexible. The float period that bill.com retains collected funds before remitting is frustrating. The software is relatively expensive. bill.com streamlines the A/R and A/P functions in a way that permits a business to expand with their current accounting software without having to upgrade to a more expensive and complex software. It also facilitates the use of virtual financial assistance while maintaining proper controls. This software is like an onion with layers of complexity which are discovered over a time. A company adopting this software would be well served by involving an experienced consultant in the process. Management of A/R and A/P is substantially improved. The ability to add a second approver facilitates outsourcing of the A/R and A/P management functions which can substantially streamline the financial management functions. "Best option for bill pay & approvals"
I love the customized roles and the audit trail on every transaction. I like being able to set up recurring bills and tag people with questions/updates. It allows users to make changes in any time period, like deleting bills in a closed year, which throws off the sync with your accounting program. If I'm wrong and there's a way to lock a period down, I'd love to know! I also wish it pushed documentation and attachments to QB. Make sure the cost is worthwhile. You'll pay $30+/month plus minimal transaction fees, so if you're paying <10 bills a month, it might not be worth it, unless you're looking for the control/approval aspect. "Busy-looking website with jargon, but payment is easy"
Being a remote contractor, it is easy for me to bill for my work for multiple companies and just have it sent to my paypal. Payment is easy to make and receive and offers me the option of transferring directly to my paypal without fees. It can be really confusing to learn to use and has a lot of jargon. For somebody unfamiliar with money related things, it can be a learning curve to get used to. Remote work or independent contractor work now has an easy, secure way to bill while also offering invoices for multiple people/businesses. Being able to quickly send payment to and from paypal has made billing easier, and feels safer than using my direct bank account. "Simplifies accounts payable process, saving time and money"
Bill.com processes and mails checks for you, so there's no printing or stamps or trips to the post office. Lost checks and voided and reissued without a bank fee. Scanned invoices are easily visible. Syncs with accounting software. There's a learning curve to the sync process - identifying which of the few items don't sync with the accounting software. We've found that Bill.com works great with QuickBooks on a desktop, but not so great with QuickBooks online. The epayment feature is great, but when a customer or vendor has a hard time setting up their bank account info, for security reasons, I'm not able to see their account or help them get it set up properly. This is an ongoing issue for us. It's quick and easy to pay bills every week, and simple to pull up a previously paid invoice. No digging through file cabinets! It's saves us lots of labor time and money. "Good accounting software for receivable and accounts payable accounts "
I like that I can track when checks go out, if they have been cashed, and readily re- submit a check for repayment and for voiding. I like that I can invite anyone to pay via ePayment and they are in charge of entering their bank info in it rather than me. I like that any paper checks who want to go out, go out with a copy of the invoice you've uploaded. Sometimes it may be a bit too simple. Maybe It would be nice to provide some additional features. For instance, you must set up a reoccurring payment, but you can't edit any text that seems on the check and defaults with a date. Use it! Its a great software that is so easy to use for accountants. Bill.com can be used for both A/P and A/R, it is very convenient to be able to attach documentation to the books and invoices for good record keeping practices. The website also can sync with QuickBooks so that records are copied into the accounting system. Vendors can send bills straight to the Bill.com inbox, and invoices can be sent out through Bill.com to customers. There are options to connect bank and credit card accounts to the profile so that payments can be made to vendors through the website, as well s receive payments from customers. When a customer invoice is edited in Bill.com, the changes are not synced over to QuickBooks. Instead, the changes must be made in QuickBooks and then synced overt the Bill.com. I highly recommend using Bill.com fur both A/R and A/P purposes. Unlimited space to save vendor and customer documents, invoices and bills. "Bill.com is great for invoice management!" We really enjoy using Bill.com for invoice management. It helps us keep track of outgoing money. The approval process is easy to set up and beneficial to use. Every once in a while, there will be a sync issue that occurs. Unsure if this is a Bill.com issue or an issue with our other platforms. Since we are a smaller company, we don't have a lot of man power to put toward paying bills the old fashion way (writing checks, signing checks, snail mailing checks) so Bill.com provides us the freedom to "set it and forget it" in a way. It's easy to not only code all of our bills but to make payments and be able to tell our vendors exactly when they will be getting paid. It would be nice to be able to see the check image prior to it clearing the vendors bank account. This way we are able to provide the image to them when they contact us. We are using bill.com for AR and AP automation and cash flow analysis. It's helped us increase our work ability with our clients to be able to take over all cash in and cash out functions. Making the disbursements process more efficient, including: 1)not having to print, stuff in envelops and mail checks, 2)chase down people to sign checks, 3)very easy set-up to pay vendors via direct deposit. "What QuickBooks is to Accounting, Bill.com is to Accounts Payable"
I LOVE how easy it is for my clients to upload bills to be paid! They really enjoy the fact that upon their discretion, they can either keep some control and approve the bills after they are in the system and actually release them to be paid, or others like know that once it's emailed to Bill.com, they don't have to worry about it anymore and they know that it will be paid on time! I don't like that I have to go back to my main console before I can switch to a new company for Bill.com. I wish there was a drop down that I could go to to easy switch from one company to another. If you want to stop writing checks to vendors, worrying about payments arriving on time, or entering bills/payments into QuickBooks, Bill.com is your answer! It's so easy to learn and it syncs well with QuickBooks. Clients love it because they just have to email their invoice and then they're done! It's a win win for everyone. We were trying to find a way in which clients could submit bills electronically, bills could get paid on time, and we wouldn't have to cut the checks! With Bill.com, we try to add as many vendors as possible to the epay system, so now we're not waiting on checks to arrive or for the checks to clear the bank. It also makes accounting with the QuickBooks software a breeze since it fully integrates. It makes it easier on our bookkeepers to do their job and ultimately increases our profit margin. The ease of use, the ability to simply add your customers and vendors and get paid and pay them quickly and easily! The fact that the reporting does not offer enough customization to minimize the steps of having to download a report from bill.com then search for information myself and make another report. "Bill.com is a great way to get paid and pay your bills"
I really like having one portal to manage my accounts payable and accounts receivable. The website is easy to use and the mobile app makes it easy to check on my payments. Bill.com makes it easy to get paid, but also allows me to pay my bills. I can pay by check, ACH, or to other bill.com users with minimal fees. This means I don't have to order checks or pay batch and ACH fees from my bank. The integration with xero is how I found bill.com. It's limited in functionality and seems to be very one sided. When I reconcile invoices with bank statements in xero, it should update the invoices as paid in bill.com. Bill.com lets you get paid and pay your bills through one portal for one monthly fee. You don't have to worry about bank fees for batch or ACH payments and you can pay other bill.com users easily. I am able to pay bills that cant be paid by credit card or exceed the max a processor will handle in many different ways. I am able to provide my customers with multiple ways to pay me that I can manage through one interface. "Really Poor UI and Terrible Customer Support - Worst Ever"
Automation of billing processes that would take me 20 hours a month. Setting up ACH for my business was almost impossible and I receive $50K a month off here, so taking credit cards is much more expensive. They cannot work internationally, don't integrate with international payment partners like transferwise. Most of all, it's just a HORRIBLE user interface. To pay someone, you need to first enter the bill, then approve, then pay, then click a few more times to actually pay. It's 10 steps when it could be one click. Terrible, terrible user interface. It's the WORST Customer support experience ever in my entire imagination. I'm actively looking for another solution.. Trying to automate my billing and invoicing my clients. I love the fact that we have an easy and consistent way to save and process invoices and customer correspondence. Nothing! We love this product! 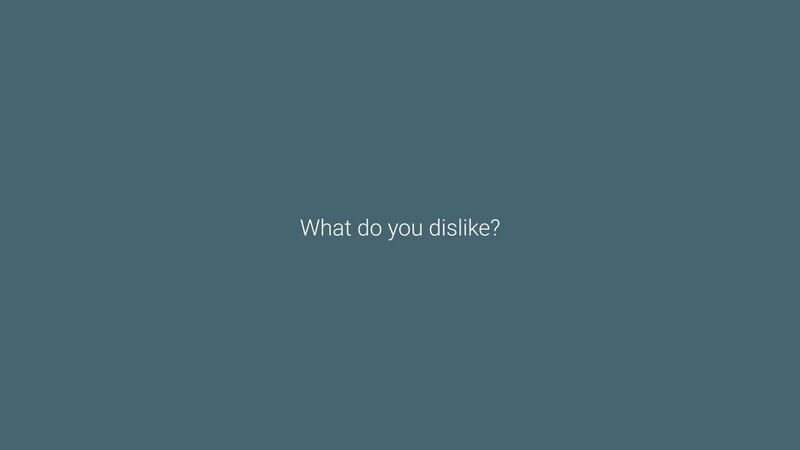 There isn't anything we dislike. Processing invoices and payments and saving the electronic versions. We no longer need to file paper copies. "Bill.com is a necessity when you run a business in the cloud"
Bill.com provides sophisticated yet easy to use solutions. The support ticket system by Zendesk that Bill.com uses is not efficient and can drag out a simple solution over a period of days. Take a few minutes to review some resources before you go to set up the system. 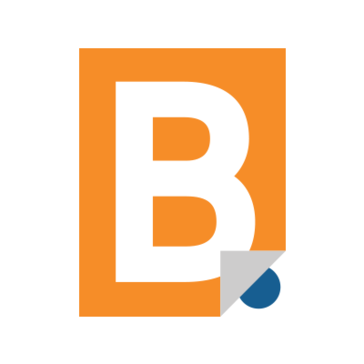 As a cloud-based accounting firm, we use Bill.com to bridge the gap between our firm and our clients all over the country. It is a powerful tool that saves us hours on AP and AR. "Good, but not perfect, app for bill paying. " I use this to handle AP for my bookkeeping clients so I like the way it saves times over having to print and mail checks, and I love the approval process and the audit trail as it provides security for both myself and my clients. It's not always user friendly, sometimes you have to jump through hoops to look something up and the support website is not user friendly at all - I can never find the answer I'm looking for and always have to contact support personally. Also, I once paid them $19.99 to send a check out using overnight mail but the confirmation I got the the USPS clearly showed that they did not send it overnight - they only paid for and sent it 2-day priority mail while charging me for overnight. They did give me a refund when I complained but it shouldn't have happened in the first place. Make sure you're aware of the lead time when paying bills through bill.com. They use batch processing overnight so if you approve a bill for payment one day it doesn't actually get processed until the next day, and if you approve something on a Friday it actually doesn't get processed until Monday. Sometimes my clients get upset when they approve a bill for payment on a Friday and then they see the check itself never actually hit the mail until Monday or even Tuesday. Using this for my clients AP process saves both of us time and money, and the approval process and the audit trail provides security for both of us. "Great and easy-to-use AP tool"
It has an extremely easy to use interface with customizable approval flows and plenty of information about invoice aging, payments, outstanding approvals, and cash flow. Unable to show both a transaction date and invoice date, so you have to make sure you are recording the invoice date in the right period, even if the date on the invoice itself is different. It's a great way to start automating your accounts payable and has add-on features like auto-entering invoice information into the appropriate fields to increase automation as needed. It is a great way to start automating accounts payable. "Awesome product but need some improvement"
One can keep track all the invoices of my client and mail them. It track all the record of uncash. It is easy to track all the due paybills. Also the mobile application is very good. I suggest to one of my client to use this. Before the Bill.com hr need to do a lot of manual work but now it's easy task. "Product has great potention to do what Quickbooks doesn't"
Ease of mailing invoices to customers, receiving payables via email and overall ability to track receivables and payables. No method to prove that they mailed invoices to client and that they were formatted correctly. It can not import attachments from bill.com to Quickbooks so you can't pull back the supporting documents into Quickbooks. Make sure you understand what you are getting from bill.com. It's not inexpensive to mail invoices through them and it doesn't integrate well at all to payables. We have to mail invoices to a lot of clients and Quickbooks stopped offering that service. Bill.com makes it easy to mail a nice looking invoice and to get paid easily by the customer. "Great for Recurring ACH Receivables"
We wish there was a way to only use and pay for the receivables section like there used to be. We don't use payables at all, since our expenses are completely automated through our vendors. We solved the need to bill clients and receive payments each month. Now it just happens and money hits the bank. Clients can also see their billing history online. Bill.com makes the process of paying vendors so much easier. I just forward an email with the invoice and confirm that our accounts payables team should send the payment. Sometimes it can be a bit harder to find older payments to confirm that they've been paid, so it could benefit from an improved search experience. Make sure the team knows the correct email to forward the invoices to. There were a couple times that I and others accidentally sent the invoices to another email address and that resulted in bills being paid late. With all technology, there will always be user errors. I like that I can open the invoices without actually opening up new files (like a preview popup). It is by far my favorite aspect. I also like that you can set up multiple approvers. Lastly, I like that when you approve multiple bills, it provides the total at the bottom. I dislike some of the terms used after approval. I'm never quite sure (from our end, and not the accountant's) what 'unpaid' and 'pending' mean. We do work with an accountant, and our accountant was largely instrumental in helping us set up Bill.com. We are able to pay out bills a lot faster - and on time! Our biggest issue before was losing track of bills and their due dates. Bill.com allows for automation at a small size company allowing for me to spend my time elsewhere. I don’t enjoy when there is syncing issues between systems as this takes time away from other metrics that need to be completed. Reports are great but having more options for accounts payable would help make quicker decisions. Not having to cut paper checks and paying vendors instantly. "Easy to use, just works"
I never have to think twice about getting reimbursed. Payments are sent quickly and easily and I love the email updates that tell me when I have a payment on the way and when it's been made. The mobile/app experience could be a bit cleaner, but overall I find its functionality to be pretty easy to deal with. Bill is great and integrates with all the software I need. We use it with Expensify and submitting invoices and getting reimbursement has always been pretty simple. Love the email reminders and updates. Getting paid and submitting invoices is easy and always works. I can easily keep track of payments on their way in my email. The ability to invoice and receive payments directly into your personal account of choice. Integration with other platforms. There's a learning curve and there has been times where payments took longer than expected to reach my bank account. Don't dismiss it too fast. It has great potential, but there is definitely a learning curve. One system for invoicing and payments. Integration with our travel and expense system allowing direct deposit of expense reimbursements. * We monitor all Bill.com reviews to prevent fraudulent reviews and keep review quality high. We do not post reviews by company employees or direct competitors. Validated reviews require the user to submit a screenshot of the product containing their user ID, in order to verify a user is an actual user of the product. Hi there! Are you looking to implement a solution like Bill.com?